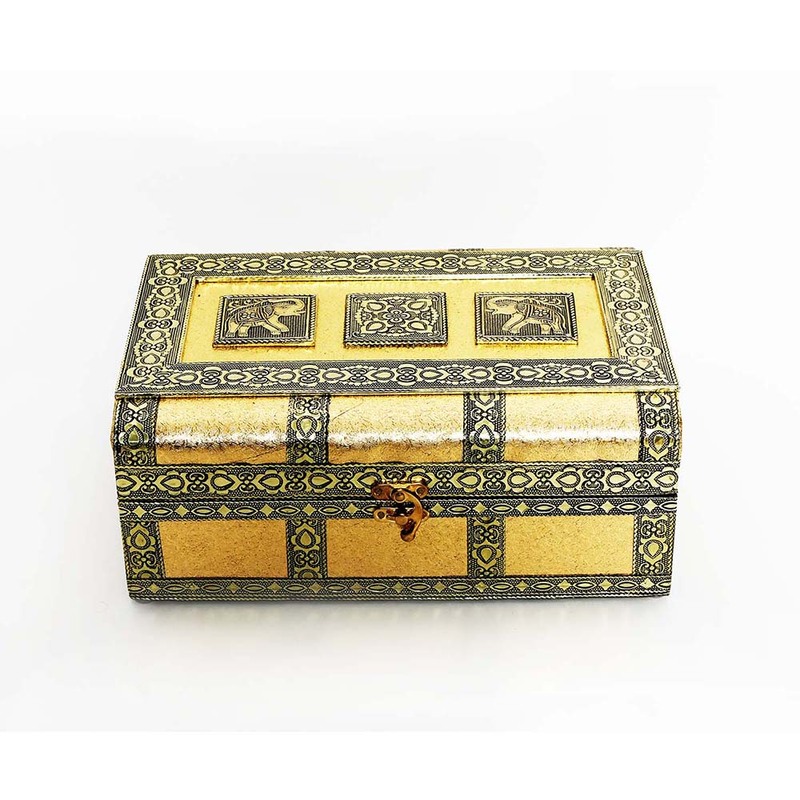 This jewellery box is made out of hardened resin, and is one of the finest examples of Indian handicrafts. 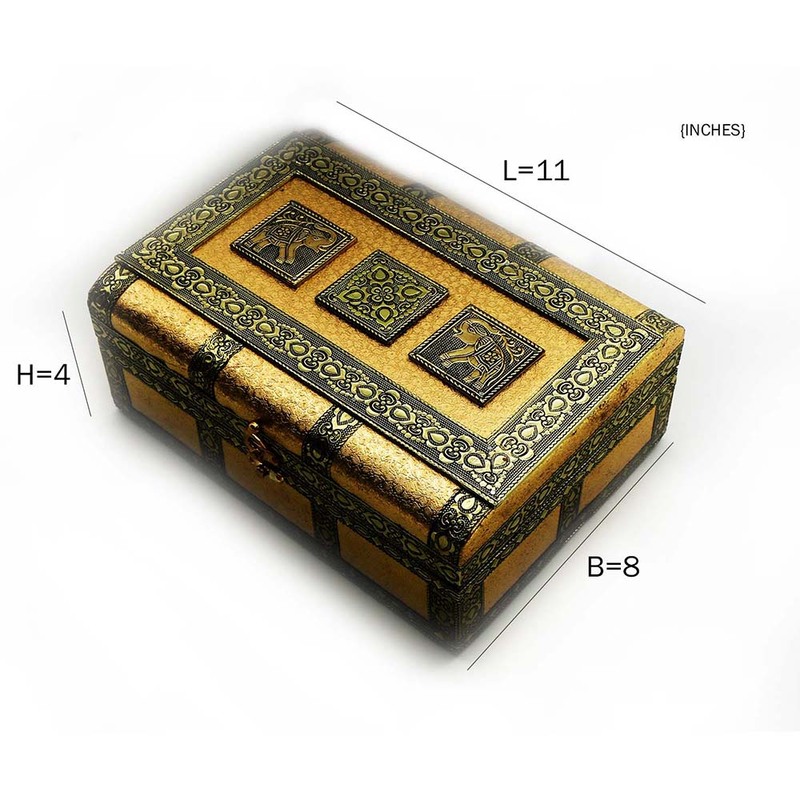 The box itself is quite spacious, Read More..and hardy, making it the perfect option to store valuables. The cuboidal shape is modified to have chamfered edges to make it feel aesthetically pleasing when holding it. The design on the top and the sides of the box are examples of typical Rajasthani handicrafts. Show Less..